Easter is coming up quickly on April 1, and whether you’re keeping it quiet or throwing an extravaganza, these recipes will make your brunch a whole lot better. Some of these sweet and savory options are more decadent, while others are a bit lighter, but there’s something in here for every craving. Meet these little birds nests constructed out of golden fried hash browns and cheese, filled with baked eggs, bacon and more cheese, with a side of avocado. Parsley is optional since some aren’t a fan. This is a fun and tasty bite-sized version of a loaded baked potato that’s sure to impress your guests. What’s better than French toast? A full casserole pan of it, filled with brown sugar caramel sauce and bananas. This is the perfect overnight meal to help the flavors really marinate and take the work out of cooking on Easter morning. 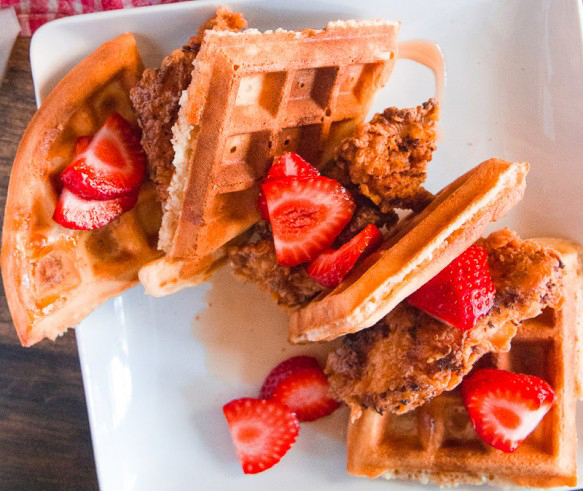 For those looking to infuse their brunch with some deep-fried Southern comfort food, look no further than this recipe for skillet fried chicken and waffles. The special buttermilk marinade, seasoning and the addition of sliced strawberries sets this recipe apart from the rest. 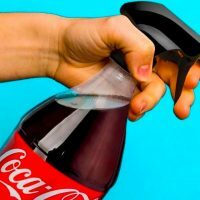 You can even crack an egg on top, if you want. This is a refreshing and aesthetically pleasing remix of spanakopita, the flaky Greek pastry puff treat filled with spinach and cheese. Instead, this recipe uses ricotta, bacon and red peppers. 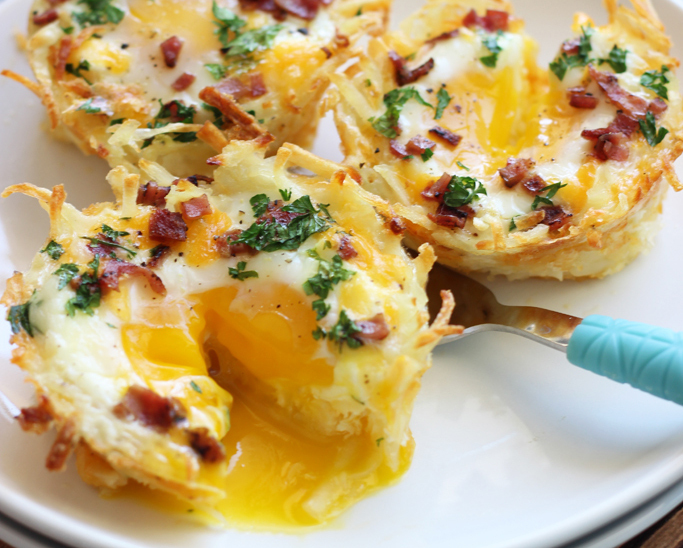 The result is an impressive, flaky and filling brunch that guests will love. 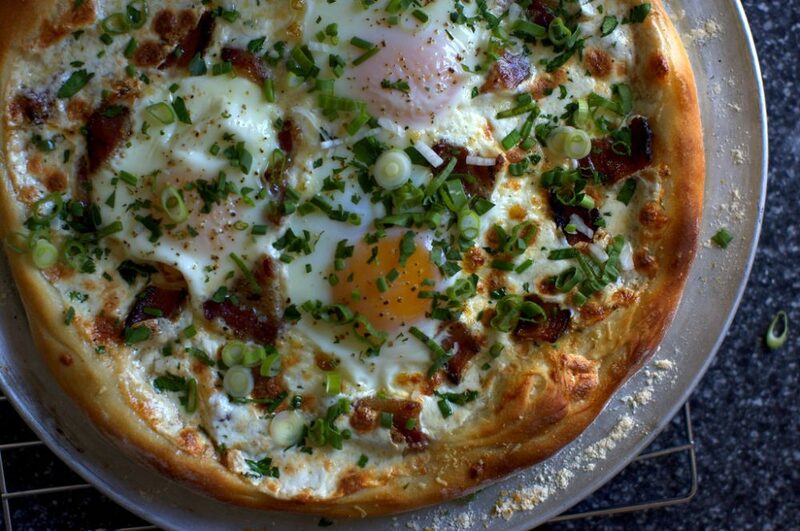 Pizza for breakfast might sound like dismal leftovers sitting around in a frat house, but breakfast pizza is a whole other magical culinary world that you’re going to wish you heard of sooner. A classic dough base is topped with baked eggs, cheese, bacon and herbs. 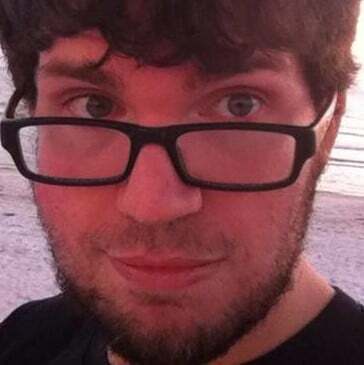 Try a huge communal pie or charming personal-sized ones. These blueberry vanilla bean pancakes look straight up heavenly – and you’d never guess they were vegan. They’re topped with a blueberry glaze and layered with bananas in between. This recipe is so well-constructed, it even has the ability to convert diehard dairy and pancake lovers alike. While cinnamon roles are always a delicious treat, this recipe featuring a lemon twist (thanks to sumptuous lemon pudding mix) is a moist, fresh take on a lemon loaf cake (but everything tastes better in sweet rolls and with frosting, right?) 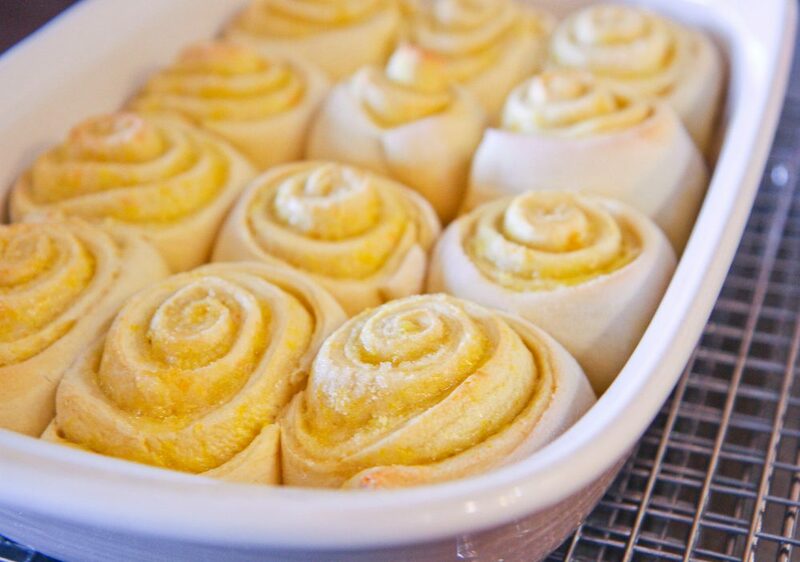 These lemon rolls go perfectly with a cup of Earl Grey tea. This is a bright, flavorful twist on the classic tomato-based egg dish known as “shakshuka” in Middle Eastern cultures. All the vibrant ingredients marry with spices in a delectable way that’s still healthy. Serve it with some warm pita and cous cous. Eggs Benedict is a classic brunch move, and the words “hollandaise” and “Easter brunch” almost seem to come hand-in-hand. 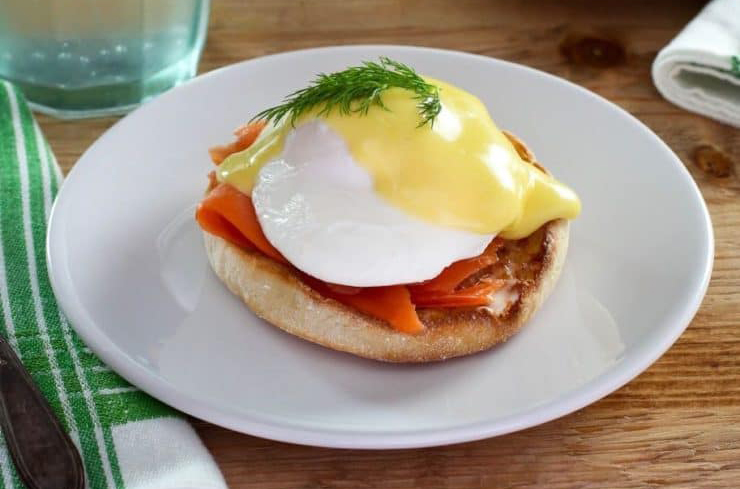 So, we found the ultimate Eggs Benedict recipe, with a few healthy omega fats to make up for the luscious sauce you’re about to pour over it. Topped with a dill garnish, this Scandinavian-inspired brunch is as yummy as it is simple to make. Coffee companies should take note: you probably wouldn’t think of combining coffee and strawberry flavors, but the result is staggeringly delicious. A distinct coffee swirl is infused with textured fruitiness, so you never have to choose between a coffee cake muffin and strawberry muffin ever again. The perfect platter to begin your brunch with or end it on a sweet note.